With the unofficial start of summer right around the corner, it’s time to start thinking about firing up the grill and looking forward to our favorite summer foods. This summer, make your grocery shopping mean more than just great food and support good paying American jobs. As a consumer, you can support the actions of thousands of hard working Americans by buying American-made products and union-made products. Check out the list below and try to serve some union-made treats this Memorial Day weekend and all summer. Text MADE to 235246 for more union-made-in-America product lists. Our list comes courtesy of Union Plus, the Bakery, Confectionery, Tobacco Workers and Grain Millers (BCTGM), the United Food and Commercial Workers (UFCW) and the Los Angeles County Federation of Labor’s website Labor 411. Last December, millions of consumers busily rang up more than $600 billion in holiday purchases. Unfortunately, hackers were also having a field day — at consumers’ expense. We learned that lax security procedures combined with an insecure payment mechanism resulted in as many as 110 million shoppers at retail giant Target having their personal information compromised. $55 million – The size of outgoing Target CEO Gregg Steinhafel’s golden parachute. Sobering as these numbers are, they represent the fallout from a single data breach, albeit a massive one. In 2013, the Verizon RISK team reported more than 1,300 data breaches. The non-profit Privacy Rights Clearinghouse, which tracks data breaches, reported that more than 257 million records were compromised last year as well. A recent study by the Ponemon Institute found that the average total cost of a data breach in the U.S. is $5.85 million per incident. The probability that a U.S.-based organization will experience a breach of at least 10,000 records in the next 2 years is 18.7 percent, according to the Ponemon study. By 2020, annual global data production is expected to hit 35 zettabytes, (or 35 trillion gigabytes). This data explosion will power unfathomable changes to consumers’ daily lives. However, the existence of that much data – much of it personal and very valuable to malicious actors – demands stronger security practices. Federal agencies like the FTC are doing yeoman’s work to hold companies to account for lax data security. But the FTC’s authority in this area is in question in the courts, and case-by-case adjudication is unlikely to sufficiently address the larger problem. Organizations like the National Institutes of Standards and Technology have developed voluntary frameworks for cybersecurity, but companies and other entities are not compelled by law to adopt it. Standards bodies like the PCI Security Standards Council have industry backing, but they are sector-specific. While no one can wave a magic wand and solve the problem of data security, more can and should be done in Congress to give enforcement agencies the tools they need to protect consumer data and prod industry to make data security a top priority. In an era when vast amounts of data are being collected about them, consumers must have confidence that their information is safe. The Target breach was a wake-up call. We can no longer sit idly by while sophisticated hackers steal with impunity and businesses accept the status quo as just another cost of doing business. The time for reform is now. Republished with permission from Flyersrighs.org. The airlines are at it yet again. Those deceptive and infuriating ads that were banned years ago are sneaking back. Making its way thorough the U.S. House, without public submissions or any debate, is a bill called H.R. 4156, deceptively named the “Transparent Airfares Act of 2014″. Translation: the “Keep Air Travelers in the Dark Act”. Written by airline lobbyists, this bill is completely anti-consumer while at the same time denigrating customers and constituents alike. It is all about makingairfares less transparent. The name of the bill is just the start of the false advertising. It is a thoroughly corrupt racket being perpetrated against the very taxpayers that have repeatedly bailed out the airlines time after time. How would a proposed ‘Transparent‘ Law mislead consumers? It seeks to overturn and reverse our hard-fought 2012 Department of Transportation ruling that requires the airlines to prominently feature the full total price of their airfares. The proposed law would give airlines free rein to quote artificially low ticket prices, minus taxes and government fees, leaving you with the mistaken belief that your total airfare is far cheaper than it is. The supporters of this bill want airlines to be able to advertise a flight without the fees and taxes added on. For example, a $300 flight would be advertised for $239 – omitting the fees and taxes. The DOT’s advertising rules were meant to eliminate shocking surprise fees and add transparency to the airfare booking process. So the first question is, who in our Congress is responsible for attempting to perpetrate this deception? They are Bill Shuster (R-PA) and Peter DeFazio (D-OR), the sponsors of the bill, who also happen to be members of the House Transportation and Infrastructure Committee. Review the list of co-sponsors at http://btcnews.co/Rlxfy2. Second question, how much did the airlines give to the re-election campaigns of the sponsors of this bill? The airlines dupe Congress again and again, blogs the Travel Insider. There is no justification for this legislation, which is why there was no debate allowed prior to approving the bill and passing it out of its markup stage and sending it on to the full House. According to Reps Shuster and DeFazio, the American public “wants” and is “calling for” this law. The problem with that assertion is that it is untrue. There are NO consumer groups actively supporting this bill. In fact, FlyersRights and virtually all other aviation consumer groups are strongly OPPOSED to it. Another argument for this legislation is that it exposes the level of taxes and fees the government imposes on air travel. But why would any congressman wish to expose their greedy grab of such a large slice of our air travel expenditures, the Travel Insider asks athttp://btcnews.co/1hR12DK. All airlines are already free to make as prominent a statement as they choose about how much of the ticket price you pay goes to the government and what it is for. Another of the bill’s justifications is that it places the same disclosure rules on airfares as on anything else you’d buy. Yes it’s true prices are usually quoted without sales tax, yet that is necessary because sales tax rates vary not only from state to state and from county to county, but even from city to city. Air taxes and fees are a constant for any given airline, route and fare, no matter where the ticket is purchased. Gas prices are a lot like airfare pricing – the price per gallon of gas includes all federal, state and local taxes and fees. Imagine if gas stations were to start advertising just the base cost of the gas on their signs, and only after you’d filled your tank you discovered the total cost! What this legislation would most risk is a return to the most egregious examples of ‘bait and switching’ where you’d see a low advertised airfare, but only after getting all excited, and working through 95% towards paying it, do you then discover a morass of fees and surcharges – carrier imposed as well as government imposed – that total more than double the price you thought you were going to pay. The airline industry, along with banking, cable and telecommunications, oil, healthcare, and numerous others, want less regulation, but they have demonstrated, time and time again that they are incapable of regulating themselves. The consumer deserves to have the final price of an airline ticket prominently displayed BEFORE taking out a credit card to pay for it. As it is today, the consumer CAN see the whole price before booking, no last-page surprises–and that should never be changed. Please contact your congressional representatives and ask them to vote against HR 4156, the Transparent Airfares Act, because it does not promote transparentairfares, but rather does quite the opposite. Consumers can be excused for not following the minutiae of U.S. district court decisions, but developments this week in New Jersey marked an important victory for data security. On Monday, Judge Esther Salas allowed a lawsuit brought by the Federal Trade Commission against Wyndham Worldwide Corp. (the parent entity of Days Inn, Howard Johnson’s and Ramada, among other hotel chains) to move forward. From 2008 to early 2010, hackers breached Wyndham’s computer network, stealing credit and debit card information of approximately 500,000 customers. In 2012, the FTC sued Wyndham for the company’s alleged failure to adequately protect its customers’ information from theft. To date, the FTC has settled more than fifty similar cases resulting from businesses’ failure to put in place reasonable data security measures. However, in the Wyndham case, the company is challenging the FTC’s authority to regulate corporate data security practices. This is important because the FTC is the only federal regulator charged with holding companies accountable for failure to protect their customers’ data. Had Judge Salas agreed with Wyndham, it would have threatened to eliminate the FTC’s authority to hold companies to account. The Symantec numbers are just the latest in a string of warnings coming out of the cybersecurity community about the growing threat from hackers. For example, Tuesday also marked the end of Microsoft’s support for the Windows XP operating system, which may still be installed on nearly 28 percent of desktop computers, as well as ATMs and government computer systems. Reports indicate that this could result in a field day for hackers as remaining security vulnerabilities in the operating system are exploited. News about a major vulnerability in the widely used OpenSSL security technology could expose the two-thirds of websites that run it to hackers. And those are just the warning coming out this week! While Monday’s decision in the Wyndham case was encouraging, the issue is far from resolved. Wyndham has stated that it will continue to challenge the FTC’s authority to regulate companies’ data security practices. This means consumers are still in danger of losing the most important data security cop on the beat. Given the constant stream of data security warnings, it’s imperative that uncertainty about the FTC’s ability to regulate data security be addressed. A number of bills currently pending in Congress would do just that. The FTC should also convene a workshop to examine the issue in depth, as NCL and others suggested last month. To be clear, there isn’t just a cybercrime wave going on right now. What consumers and businesses across the country are experiencing is more like a cybercrime tsunami. Policymakers in Washington need to make sure the FTC can continue to respond to this threat before we’re all washed away. Today is the day we can start to put these words from President Obama during his State of the Union address into action. In a matter of hours, the U.S. Senate will vote on the Paycheck Fairness Act — a bill that would deter wage discrimination. 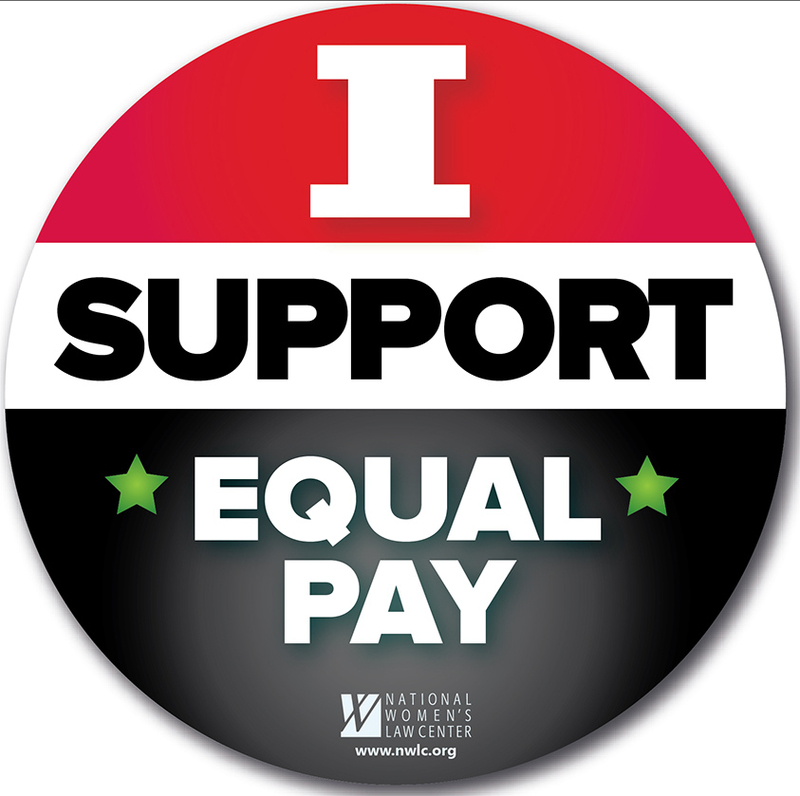 Today, 98 days into 2014, is Equal Pay Day. This day symbolizes the extra time needed for women to earn the same salary as their male counterparts in 2013. The Paycheck Fairness Act would deter wage discrimination by updating the nearly 50-year-old Equal Pay Act, in part by barring retaliation against workers who disclose their own wages to coworkers. It’s ridiculous, but right now, no federal law broadly prohibits employers from penalizing and even firing employees just for talking about their salaries. The wage gap does not only affect women, it affects whole families. At a time when women increasingly are the breadwinners, 71 percent of mothers are part of the labor force, a pay gap unfairly targets children in households with single mothers or where both parents work. The pay gap, when calculated over the course of a year, means women receive on average $10,784 less than males performing similar work. The pay disparity is increased among African American women and Hispanic women, who make $19,575 and $23,873 less respectively than a white non-Hispanic male performing the same job. Using these figures, the Department of Labor estimates that women make on average $380,000 less over the course of their careers. That is a huge sum of money when trying to put a child through college, buying healthy groceries for the dinner table, or paying the rent. Despite the passage of the Lilly Ledbetter Fair Pay Act, the first bill signed into law by President Obama in 2009, more work needs to be done to ensure women have the resources and tools they need to confront discrimination and challenge unfair practices in the courts. Current law forces women to jump through too many hoops in order to make claims of gender discrimination. For Lilly Ledbetter, she was told on her first day of work at Goodyear never to discuss her salary with anyone. It wasn’t until she found an anonymous note in her locker years later that Lilly realized she was being paid as much as 40 percent less than her male colleagues in the same position. This is exactly why these pay-secrecy policies that punish employees and hide discrimination must go! It’s time to pass the Paycheck Fairness Act! The Federal Trade Commission this week announced that it has pulled the plug on a multi-million dollar cross-border telemarketing scam operation that can be traced back to 2009. The FTC’s complaint against First Consumers, LLC, Standard American Marketing, Inc., and PowerPlay Industries LLC alleges that the companies used telemarketing boiler rooms in Canada to “cold call” tens and thousands of consumers claiming to sell fraud protection, legal protection, and pharmaceutical benefits services. These unsolicited services would often charge anywhere between $187 to $397. Between May 2011 and December 2013 the scheme brought in $20 million. The defendants are said to have targeted senior citizens who were given false information and were compelled to reveal their bank account information. The scammers used scare tactics and sometimes even went so far as to impersonate bankers and government officials. The account information would then be used to create “remote checks” drawn on the consumers’ bank accounts. These remotely created checks were then deposited into a network of corporate accounts established in the United States. The U.S. based defendants then transferred money to the Canadian accounts. The Internet has certainly become a haven for scam artists, but this case is a reminder that consumers need to be on guard for scammers contacting them via the “old-fashioned” telephone. In fact, according to Fraud.org’s 2013 Top Ten Scams report, the telephone was the most-frequent way that consumers reported being contacted by scammers in 2013. Never give out sensitive personal information such as Social Security Numbers, bank account numbers or credit/debit account numbers in response to an unsolicited telephone call. Telemarketing scammers will often try to pressure the person on the other end into making a quick decision. Remember, if it sounds like a good deal today, then you should be able to take the time to research it thoroughly. Be wary of any telemarketed who requests payment via wire transfer, cash or prepaid card. Information on spotting telemarketing scams targeting seniors is available at “They Can’t Hang Up,” a joint educational initiative between NCL and AARP. For more tips from Fraud.org on spotting telemarketing scams, click here. These days, issues of economic security are finally getting their due. Cities and states – and in some cases counties – have decided to strike it out on their own and take matters into their own hands. Thirteen states and a few cities and counties have increased their minimum wages in the past year. Still, the federal government lags behind. A few weeks ago, the Senate Health, Education, Labor & Pensions (HELP) Committee held its first hearing on the Senate Fair Minimum Wage Act (S.460 & H.R. 1010) that would increase the federal minimum wage from $7.25 an hour to $10.10 an hour, increase the tipped minimum wage from a paltry $2.13 an hour to 70% of the ‘regular’ minimum wage ($7.07), and index both to the rate of inflation – thus stopping this vital wage from being used as a political football. The hearing witness list included the usual heavyweights: the U.S. Department of Labor‘s (DOL) Secretary Tom Perez and the Director of the Congressional Budget Office Douglas Elmendorf as well as Dr. Heather Boushey, the Executive Director and Chief Economist of the Washington Center for Equitable Growth, Sister Simone Campbell, Executive Director of the NETWORK, but most importantly, Alicia McCrary – a mother of four trying to make ends meet as a fast food worker on a minimum wage salary. Alicia McCrary’s voice brought the discussion out of the battling economic studies, partisan posturing, and election year sound bites and back to reality. McCrary simply told her truth and the truth of many families. She spoke of how she moved her four boys out of Chicago after leaving an abusive relationship and shared with the Committee the routine of deciding each month which of her four sons would be the lucky one to get a haircut because she can’t afford for them all to have haircuts in the same month. Alicia is a good example of what life is like for millions of American families struggling on the minimum wage. Besides demands from work, these working parents face many hurdles at home from finding affordable housing and childcare to feeding their growing children and providing them with health care. With the federal minimum wage stuck at $7.25 an hour, a single mother that works full time and has one child, lives in poverty at $15,080 (before taxes) a year. This qualifies them for food stamps because without it, they would have little left after paying rent, utilities, transportation, and health care. If raised to $10.10 an hour, as those in both houses of Congress and worker advocates are calling for, then 30.3 million workers would get a raise. American families need a break – we need to raise the minimum wage!